US hedge fund billionaire George Soros said he will invest $1 billion in Ukraine provided the West improves investment conditions, and warned there is no such thing as a ‘benevolent investor’. "I stand ready. There are concrete investment ideas, for example in agriculture and infrastructure projects. I would put in $1 billion. This must generate a profit. My foundation would benefit from this ... Private engagement needs strong political leadership,” the hedge fund manager said in an interview with the Austrian newspaper Der Standard, as quoted by Reuters. 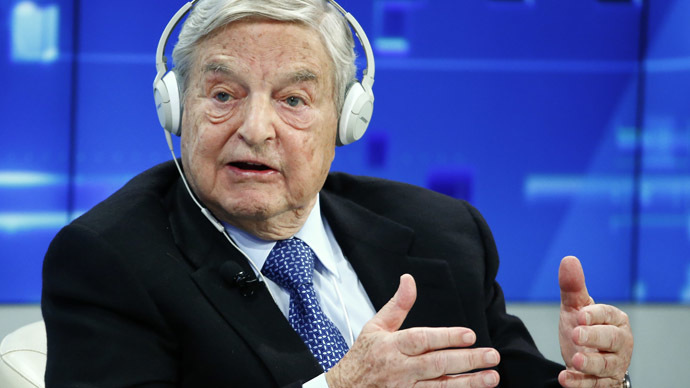 A long-time advocate for more Western aid to Ukraine, Soros has openly called on Europe and the West to string together a $50 billion rescue package for Ukraine, on par with the Marshall Plan Germany received after World War II. He recently blamed the EU for paying too much attention to Greece, which the philanthropist and billionaire believes has a one in three chance of leaving the eurozone, last week he predicted the odds at 50:50. Greece has received €240 billion in two bailouts, whereas Ukraine has only been promised $40 billion, led by the International Monetary Fund. In a article penned himself on the website Project Syndicate, Soros argues that Ukraine's situation is more pressing than Greece's, and that Europe shouldn't be so preoccupied with Greece. "Yet Europe treats Ukraine like another Greece. That is the wrong approach, and it is producing the wrong results," Soros wrote. "The West can help Ukraine by increasing the attractiveness for investors. Political risk insurance is necessary. This could take the form of mezzanine financing at EU interest rates -- very close to zero," he said in the interview, published Monday. 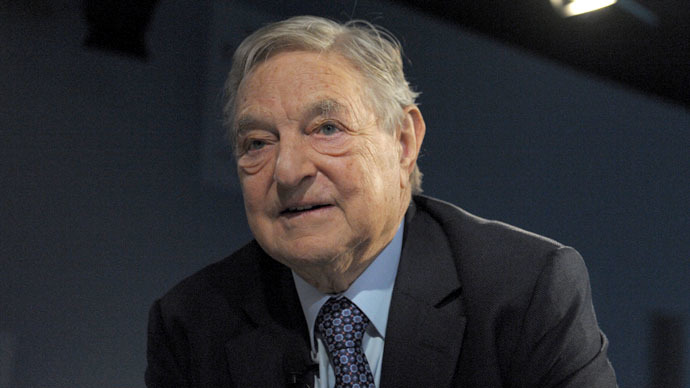 Earlier in January, Soros said an ‘easy money’ policy would only worsen inequality in Europe. Soros said he considers agriculture and infrastructure profitable investments. Once called the "breadbasket of the Soviet Union,” Ukraine’s economy is heavily reliant on agricultural exports. Wheat, corn, dairy, sunflower oil, and other main export crops account for about 25 percent of the country’s total exports. More and more, Ukraine has allowed foreigners to buy up agriculture land, which is the second biggest in all of Europe at 41.5 million hectares, or about 70 percent of the total country. Industry in Ukraine has been on the decline since the country entered recession in 2012, and has only gotten worse with the ongoing war in the east, where the bulk of industry and manufacturing is located. In the past, the European Bank for Reconstruction and Development (EBRD) and European Investment Bank (EIB) have funded rail projects, road construction, and shipping and port industry.